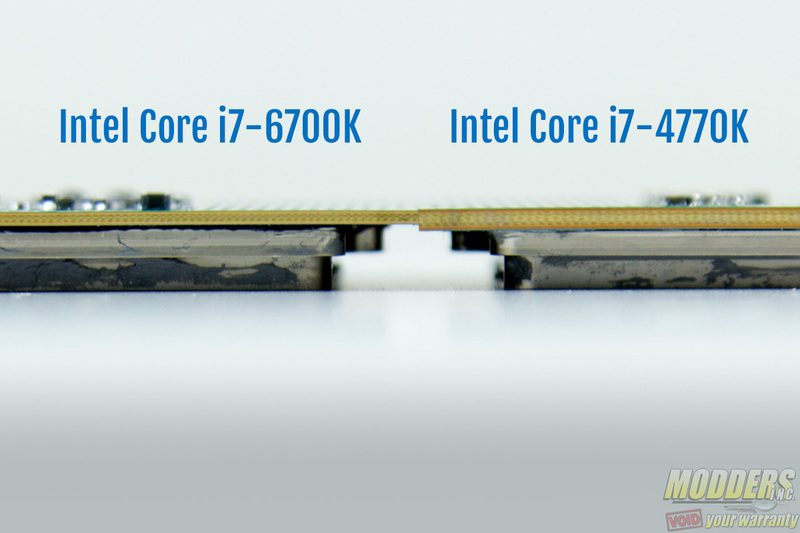 Skylake CPU’s such as the i7-6700K and i5-6600K can get damaged due to strong pressure from some air coolers, German hardware site PCGamesHardware.de reports. This is due to the thinner substrate compared to the previous generation CPUs such as Haswell. This is definitely a big issue and we recommend that you do not to transport or move your Skylake-based system in case you are using some of the heavier CPU coolers on the market, or take the CPU cooler off in case you have to move it.